What it really means to have a lawyer “fix” your moving violation traffic ticket. Unless you’re Miss Daisy and you have an ageless Morgan Freeman to drive you from place to place, statistics say you will at some point in your life be stopped and ticketed for a moving violation. Failure to yield, speeding, improper left turn, all the old stand-bys. Instead of just paying the fine on a moving violation and taking points on your license, most of the time you should probably pay a lawyer to “fix” the ticket. What does it mean to have your moving violation “fixed” by a lawyer? First, the lawyer does not “fix” the ticket simply by getting it dismissed. Sure, there are times your tickets will be dismissed, but that is rare. So no, paying $45 to some massive, bulk traffic law firm will not be the end of your pain. What it DOES mean, however, is that your lawyer will get the prosecutor to amend your speeding ticket to a non-moving violation such as littering or illegal parking that carry no points. By avoiding points, you will also avoid things like losing your license or paying increased car insurance premiums. You will pay a heftier fine plus court costs in exchange for the amendment. Some people are forced to pay the court as much as $300 in fines and court costs depending on the circumstances of their traffic violation. Ridiculous. Add to that figure the $100 (per ticket, of course) you will pay the lawyer you hired to get the ticket amended, and now your “failure to yield” has resulted in your failure to eat anything but Ramen for the next month because you’re broke. Is it worth it for you to hire a lawyer to “fix” your ticket? Make sure your ticket is actually a moving violation and determine how many points on your license it could lead to. 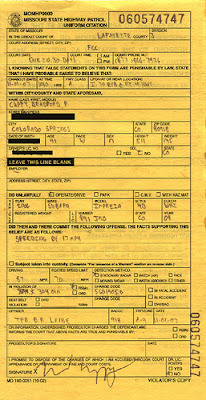 Check out this moving violation chart from the Department of Revenue. 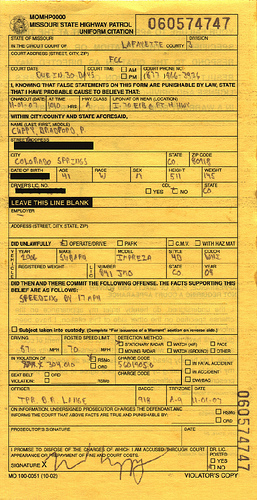 There, you can determine whether your ticket is a moving violation and how many points it could you. Determine how many points are already on your license. If you’re getting close to accumulating enough points to where your license will be revoked, you should probably hire a lawyer to prevent more points. Check with your insurance company to see how accumulating traffic points would affect your insurance rates. Was there an accident? Was someone injured or worse? Always get a lawyer when there is an accident resulting in property damage or bodily injury as the results on your ticket could expose you to future civil liability over the accident. As always, every case is different so whether you need a lawyer could depend on your specific circumstances. I would call a criminal defense lawyer in your area to see what he can do for you and at what cost. I happen to know a good one. ⟵Probation Violations: How to Win your Hearing and Stay out of Prison.